Winning an Oscar takes hard work, dedication, and a willingness to give your life for your art. Sometimes literally. 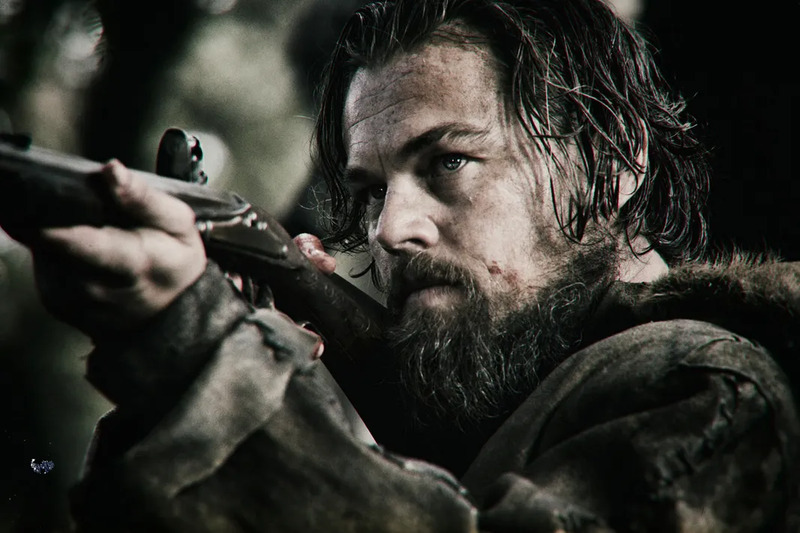 Leonardo DiCaprio has a reputation for putting himself through hell for parts. For Django Unchained, he sliced his hand open while filming and for The Wolf of Wall Street, he had a piece of lube soaked ham thrown at his face 70 times. However, The Revenant might have been the most difficult performance of his career. Despite being a vegetarian he ate raw bison liver, was allegedly sexually assaulted by a bear, and faced life threatening conditions. Leo isn’t the only 2016 Oscar contender who suffered for their art. Brie Larson received a Best Actress nomination for her role as Joy, a single mother forced to raise her five year old son in isolated captivity in Room. To prepare herself for the role, Larson researched “silent retreats” (where even looking at another person was forbidden because it’s considered communication) and spoke with a trauma specialist. In order to relate to the experience of her character, Larson submitted herself to essentially solitary confinement for a month. Towards the end, she said she couldn’t stop crying for days. Larson even described the experience as a form of death and said it broke her in half. From Magic Mike to Reign of Fire, Matthew McConaughey is no stranger to extreme workouts regimens. In 2013, he won an Academy Award for his role as AIDS patient Ron Woodruff in Dallas Buyers Club. In order to prepare for the role, McConaughey lost nearly 50 pounds. While his weight loss regimen made him weak (“I would do five push-ups and be sore,” he recalled, “I would run 30ft and my legs would lock up.”), it had more severe side effects too. “As soon as I hit 143lb, I started losing my eyesight,” he offhandedly remarked to Metro. This was the same phenomenon experienced by hunger strikers in Northern Ireland in the 1980s. Almost a year later, McConaughey had still not fully regained his vision. While filming My Left Foot, the story of Christy Brown an Irish poet with cerebral palsy, Day-Lewis refused to leave his wheelchair. He was so dedicated to the performance, he broke two ribs just from sitting so forcefully. Day-Lewis even enlisted members of the crew to carry him around whenever he needed, which caused some understandable resentment. Day-Lewis believed that being on the receiving end of this frustration was an essential part of Brown’s experience. In order to prepare for her role as Maggie Fitzgerald, a professional female boxer in Million Dollar Baby, Hilary Swank actually trained as a real boxer. She practiced at Gleason’s Gym, the gym of Muhammad Ali. Her workout was physically demanding, but it became life threatening when she developed a blister on her foot. “I got a blister the size of my palm on the ball of my foot,” Swank explained. Unfortunately, not all actors get the help they need. In order to prepare for his award winning role in The Dark Knight, Heath Ledger basically became the Joker. “I sat around in a hotel room in London for about a month and I just locked myself away and formed a little diary and experimented with voices,” Ledger told Empire Magazine, “I ended up landing more with in the realm of like a psychopath, someone with no empathy. Very little to no conscience towards his acts. Which is fun, because there is no real limit on the boundaries to what he’d say or how you would say something or what he would do.” Some members of the cast and crew were worried Ledger had taken the role too far.